Black Friday – Open Your Heart with this Grateful Exercise and Receive! This is the time of year when we look at our lives and give thanks for all the wonderful things we have in our lives. Would you like to do this Grateful Exercise with me by using the alphabet A-Z and plus open up your heart? I love doing this exercise because it opens up the heart plus reminds me of all things that I am grateful for! So it give it a try with me for 40 days and see how it changes your perspective on life! 26 things to be grateful each and everyday! Plus, I want to show how thankful I am to have you in my life by offering 40% off my book Common Scents, A Practical Guide to Aromatherapy, A Practical and simple book for the beginner to the advanced student and booklets- Using Common Scents- Learn What is an Essential Oil? 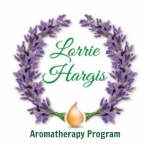 How to Use Essential Oils – this is a good booklet for beginners to understand Essential Oils and Essential Detox- Learn What is a detox program? How to Detox and How to Use Essential Oils during Detoxification. I am so grateful to have you on my blog. Please make comments on how you give thanks. This entry was posted in News Updates on November 19, 2018 by Lorrie Hargis.